British elderly people crossing road warning sign. Car or Automobile sign on beautiful sky background. 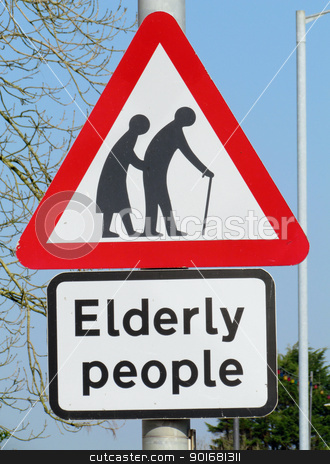 Photo of British elderly people crossing road warning sign.